Money20/20 - Dai Nippon Printing Co., Ltd.
DNP is a leading solution company headquartered in Tokyo, Japan. We provide wide ranging payment solutions including Smart Card, Brand Prepaid Service, House Prepaid Service, Mobile Wallet Service etc. DNP has always been evolving itself to meet the exponentially changing market needs. 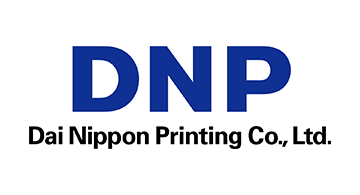 Through serving many Japanese clients for decades, DNP has accumulated wide and deep experience that makes DNP a total ICT Solution Company with world level flexibility and quality. NFC, TSM, TSP and HCE with Tokenization are some of the examples of our platform services. Our service lineup never stops expanding. Payment Linked Marketing is another key concept with which DNP is developing new solutions by combining Payment Solutions and Marketing Solutions. DNP is bringing Digital Marketing and CLO to the next level.